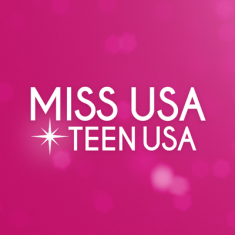 QUICK JUMP: Contestants Pageant Information How to compete in Miss USA & Teen USA 1993? The Miss Teen USA 1993 pageant ended with Charlotte Lopez winning the title of Miss Teen USA 1993! Miss Teen USA 1993 took place at Mississippi Gulf Coast Coliseum, Biloxi, Mississippi on August 10, 1993. Julianna Maili Kaulukukui won Miss Congeniality. Melanie Breedlove won Miss Photogenic. The Miss USA 1993 pageant ended with Kenya Moore winning the title of Miss USA 1993 and getting the opportunity to advance to the Miss Universe 1993 pageant! Stacey Blaine who won Miss Congeniality. Kelly Hu who won Miss Photogenic. Tavia Shackles who won Best State Costume. Erin Nance who won Best in Swimsuit.